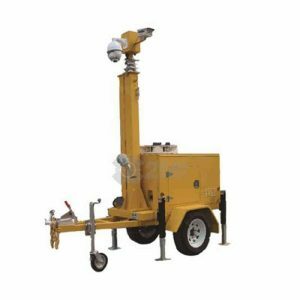 Solar Powered Security Camera Trailers are portable and easy to set up. These trailers are engineered for rugged terrain and isolated areas where power is not accessible. These Off the Grid Solar Powered IP Security Camera trailers convert the energy of the sun via solar panels to power each camera. They are maintenance-free and come pre-wired for easy setup and installation. 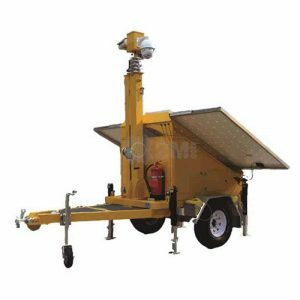 Solar Security Camera Trailers are perfect for agricultural areas, construction sites, and waterways or any other application that would not allow for lengthy cable runs. They integrate solar power and use an environmentally safe power source.